Gracious Wild is the story of Stacey Couch�s incredible journey out of the mundane world of science and reason into the vast shamanic realms of creativity and inspiration. Readers will travel on this intimate exploration of what happens when one woman allows the messengers of nature to guide her. These winged guides wrap her mind up in the mysteries they present, leading her to a richer, more fulfilling life. 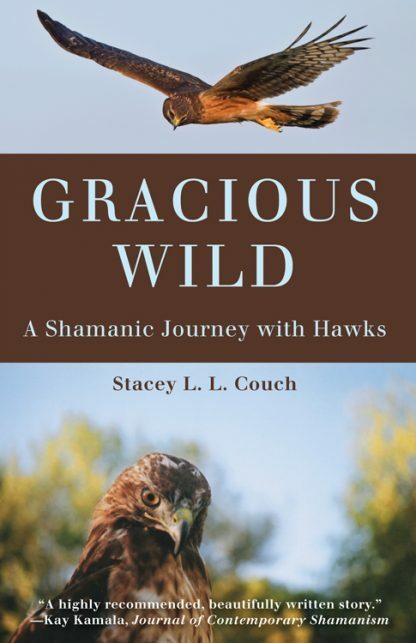 Gracious Wild weaves Stacey�s relationship with the hawks alongside her study of shamanism with a good deal of information included for those seeking more details about this spiritual path. Gracious Wild offers a vivid and candid tale of a woman who loses then rewrites the meaning of her life at the same time showing readers their own humanity; how being open to spirit messages from animals can provide important and beneficial (life-changing) guidance. Stacey L. L. Couch describes herself as a shamanic cowgirl who works as a publicist and journalist for Mother Nature. A pioneer at heart, she empowers people with the ability to explore life�s big questions. She aims to show how to form a real connection with our own souls through the natural world. A life-long student of nature, she has a biology degree in ecology and conservation as well as a 2-year shamanic certification. Her home on a 38-acre ranch is in Pagosa Springs, CO. She offers shamanic healing and teaching services at www.wildgratitude.com.